This recipe is perfect for a chilly winter’s day as there’s lots of warming flavours infused through the fish. 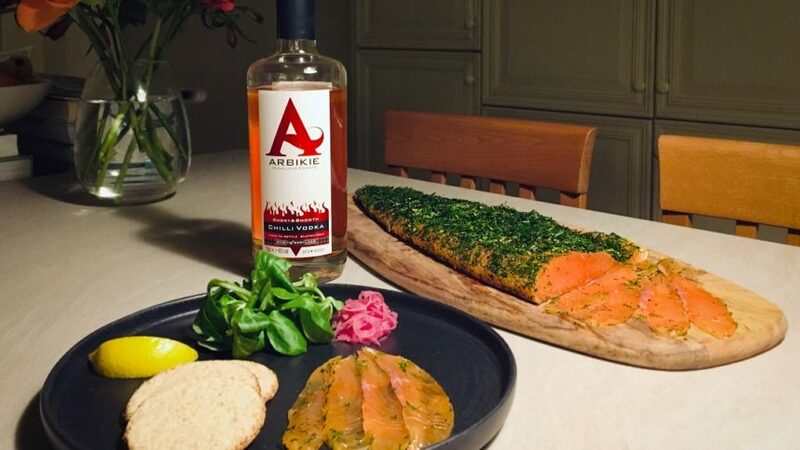 Although this is a slight twist on the classic, it still offers the clean fresh salmon flavour of the Loch Duart salmon whilst still being surprisingly warming due to the kick of the black pepper and the smokiness of the chipotle chillies in the Arbikie chilli vodka. It’s also very quick to make with minimum prep but it still provides maximum flavour. 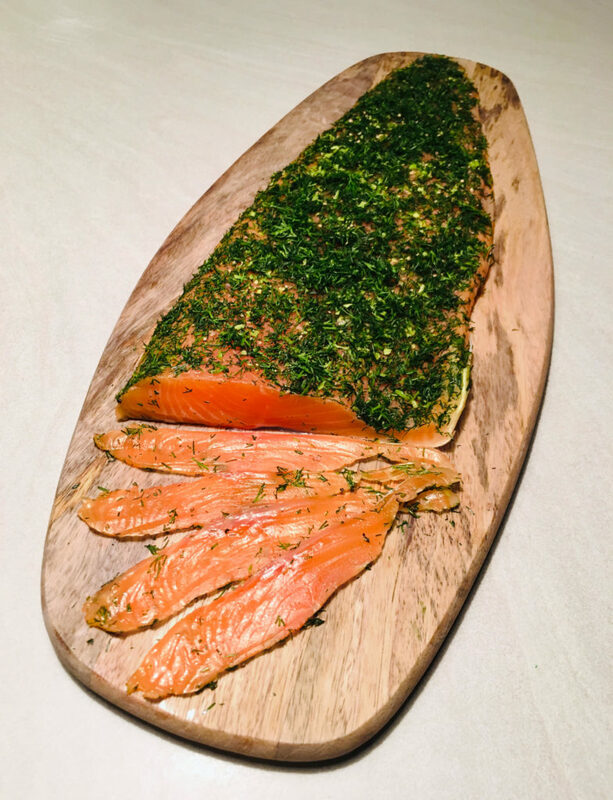 As the curing process takes 48 hours, it would also be an excellent idea to make as a starter for that special occasion as it can be made in advance and left to cure in the fridge for 2 days and then all you need to do when needed is slice and serve.